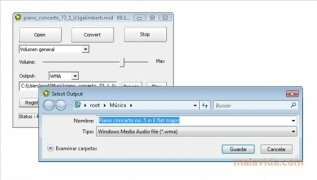 One of the major problems related with MIDI files is that it is impossible to play them on the traditional audio devices, because they are data that trigger sound libraries from a module and, due to this, it is necessary to convert them previously if we want to burn them on a CD or listen to them on our MP3 player. 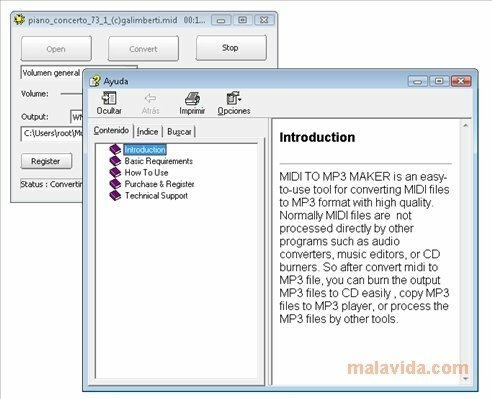 MIDI to MP3 Maker is an application that, making use of the properties of the Full Duplex sounds cards, allows any user to convert a MIDI data file into an MP3 or WMA track, where the only thing necessary during the process is to indicate where it can find the original file, and the destination folder and the general volume of the end file. 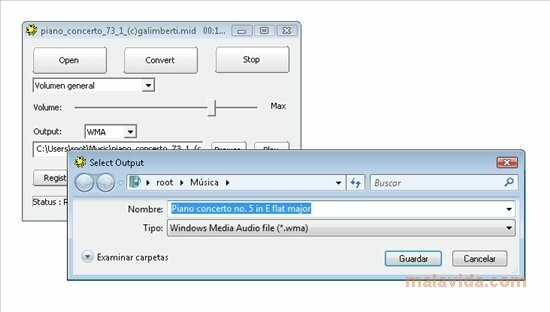 The program is rather simple and doesn't allow the user to configure properties (except the name) of the file that will be generated, something that can be a problem for professional users that need their files to have the maximum quality possible. 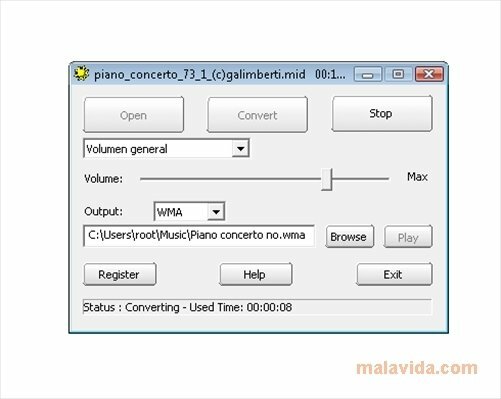 The interface of MIDI to MP3 Maker is rather simple, and we will only have to make use of two buttons to manage to convert any file. This application requires that your computer has a Full Duplex sound card (capable of playing and recording simultaneously) to work. 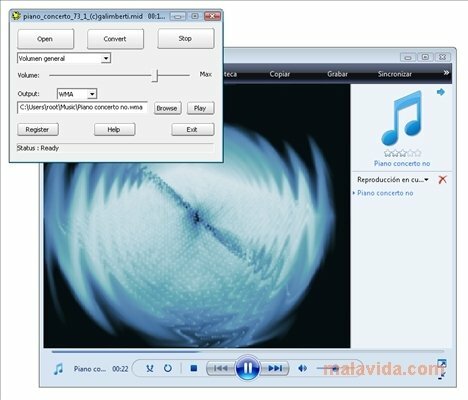 The trial version doesn't allow you to create more than 1 minute of an MP3 file.